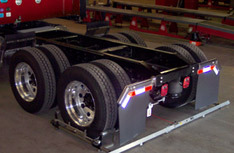 Commercial Truck & Trailer, Inc. is the areas leading provider of quality name brand parts, wheel and trailer alignment, frame straightening, trailer body repair and suspension components. We are committed to supplying your needs at competitive prices and with fast courteous service. From the brake pedal to hydraulic brake fluid, brake master cylinder to power brake booster, drum brakes to disc brakes and electronic anti-lock brake sensors, we know every part of your brake system inside and out. Regular brake inspections should be part of your vehicle’s ongoing maintenance, helping to ensure its safety and reliability. Today’s truck electrical systems are getting more complex, and the need for professional care is increasingly necessary. Many problems associated with day-to-day drivability are caused by voltage variations and this is first step in troubleshooting any problem. We have the latest in computer equipment for diagnosing electrical problems in your truck. When you experience any of these problems, come see us – your local truck electrical system experts. We do large and medium truck and recreational vehicle frame repair and straightening. We straighten and repair flatbed trailer frames, dump truck frames, and most large and medium sized equipment carrying truck frames. 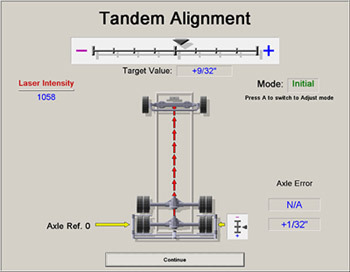 We utilize Bee Line equipment in our shop; they invented laser alignment technology in order to achieve the most accurate wheel alignment measurements possible. With laser measurements to 1/1000th of an inch, our front end alignment machines will produce the results you demand. 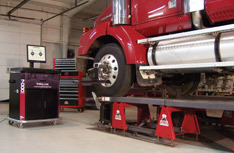 Correct truck & trailer axle alignment can save you money with increased fuel mileage and longer tire life. Bee Line is also a leading pioneer in axle correction equipment. By making cold bends, our tooling and equipment enables us to make precision corrections on any size axle on your vehicle. Come visit at Commercial Truck & Trailer, 313 North State Street, Girard, OH 44420-0179. ©2011 Commercial Truck & Trailer, Inc.